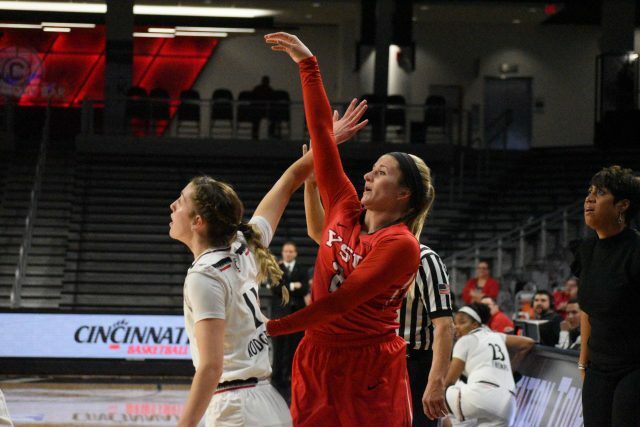 The great season from the Youngstown State University women’s basketball team came to an end Thursday, falling to the University of Cincinnati 76-62. It was a game of runs for both teams. 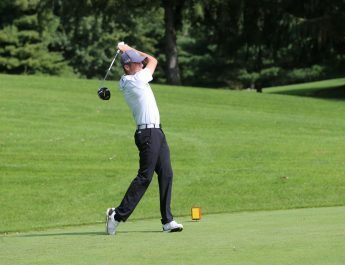 YSU would go on a run and the Bearcats would return the favor right away. Mary Dunn brought the game within three, but Cincinnati went on a 13-point run in three minutes to go up 70-54. Melinda Trimmer set a career high in her final game, putting up 17 points in arguably the best game of her career. Alison Smolinski also had a team-high 17 points on the night. Sarah Cash added 12 points in her school record setting 135th career game as a Penguin. Trimmer, Smolinski and Cash combined for 44 points. The Penguins end their season with a 22-10 record, defying some preseason expectations. Coming into the season with nine players, expectations weren’t exactly at their highest for the Penguins. Barnes was incredibly pleased with the team this season. Barnes continued on to say how the team has nothing to hang their heads about. Barnes has talked a lot about legacy this season, from preseason to now. It’s safe to say that the seniors just made their mark.